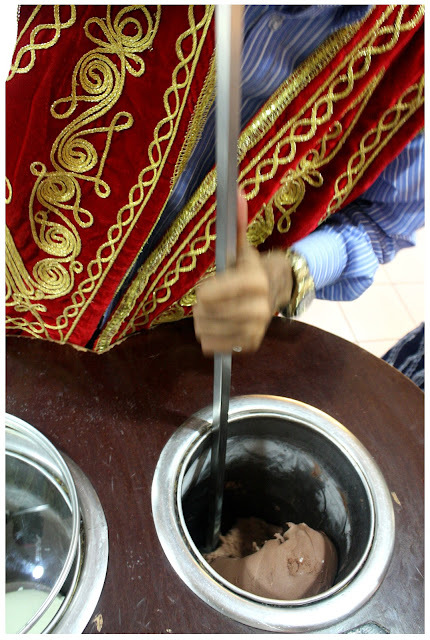 Ice cream, many would kill for ice cream especially when it comes to yummy tasting ones. 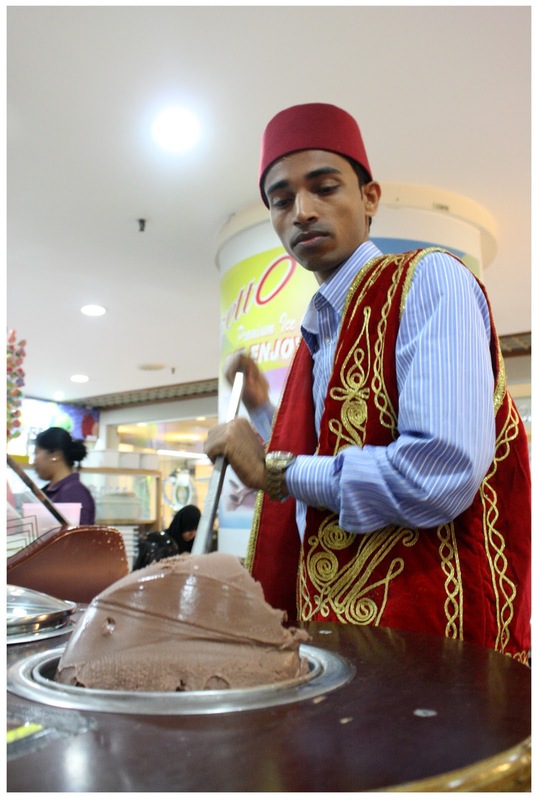 When gelato came into Malaysia's market, my love for ice cream has lessen as I want something sweet, cooling but at the same time - LOW FAT! 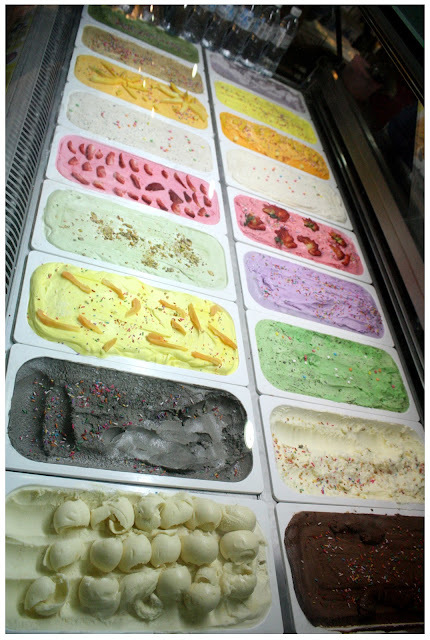 Gelato is the perfect choice of dessert for me, I just had to have a scoop whenever I saw outlet nearby me. Have you ever wonder, at restaurants and hotels when there are ice cream for desserts, what brands are those ice cream actually? The taste are so good but there's no way to find out the brands unless it's stated isn't? One of their outlet located at LG Floor, Sg Wang Plaza. I know what you thinking, it doesn't look as high class like other ice cream outlets we saw in bigger shopping malls, but believe me, it's the taste of their ice cream that keeps you going back! 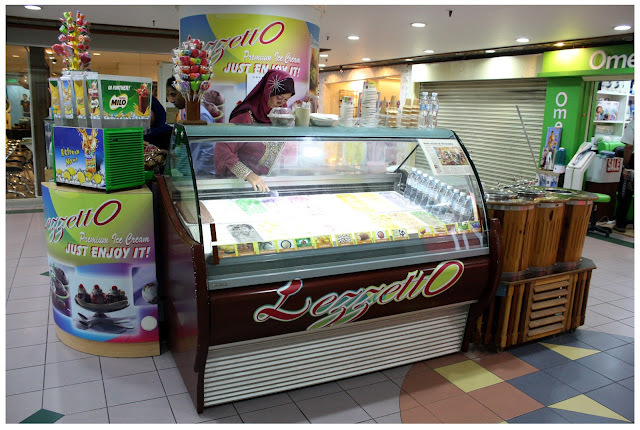 Lezzetto in Turkish, means 'Lazat'(Bahasa Malaysia, which means 'yummy' in English), and it's a premium ice cream brand that established in Malaysia since year 2007! These are just a fraction from 40+ flavours they manufacture! Started with just one outlet in year 2007, Lezzetto grows and expand until today, there are five outlets and wholesaler to regular blue chip customers. More and more flavours added to the menu as time goes by, from 9 flavours in November 2007, it has over 40 flavours to date, and some are very special flavours like Teh Tarik, Wasabi, D24 Durian flavours which brings your taste bud goes to a roller-coaster ride! 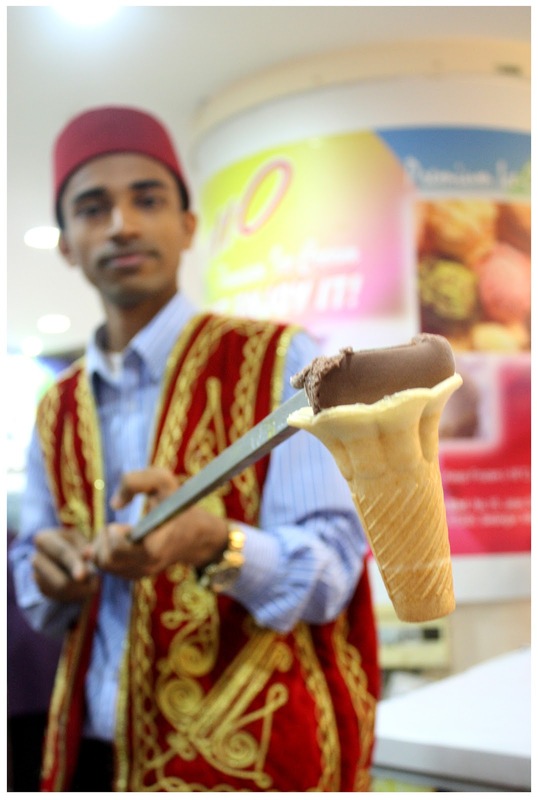 Gelato Master doing his thing. This Turkish Barrel is such an interesting freezer that when you stir the gelato that's inside the barrels, it'll become so compact, sticky and chewy. They won't melt in a short while like normal ice cream does, definitely something I never knew of - ice cream that you can chew! Stirring the ice cream, the more you stir the more compact it'll be! Mustafa holds the same position for more than two minutes just to let us take nice photos of it! And see, the ice cream will just stick to the spatula and cone, still doesn't melt even though it's contacted with air for quite some time! He moves the spatula here and there like dancing or practicing with the 'weapon'. 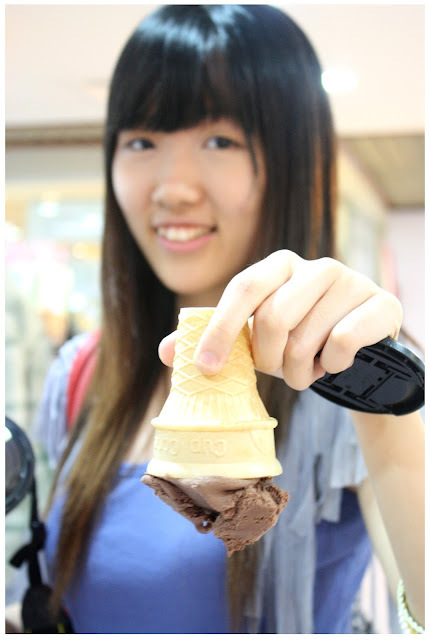 Seriously, I think this is the BEST ice cream for kids, no more dropping the whole scoop of ice cream on the floor hahaha! 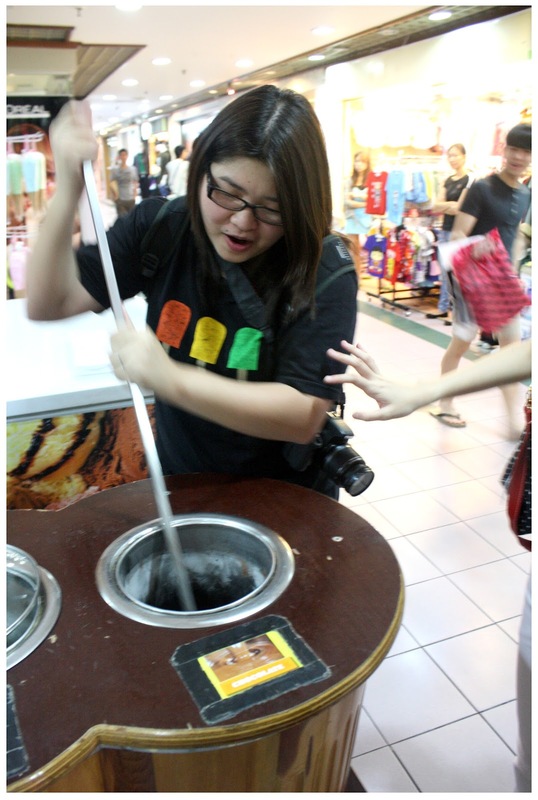 Tammy also want to try and stir the ice cream, but it's too hard to move the spatula around without proper training and muscles. 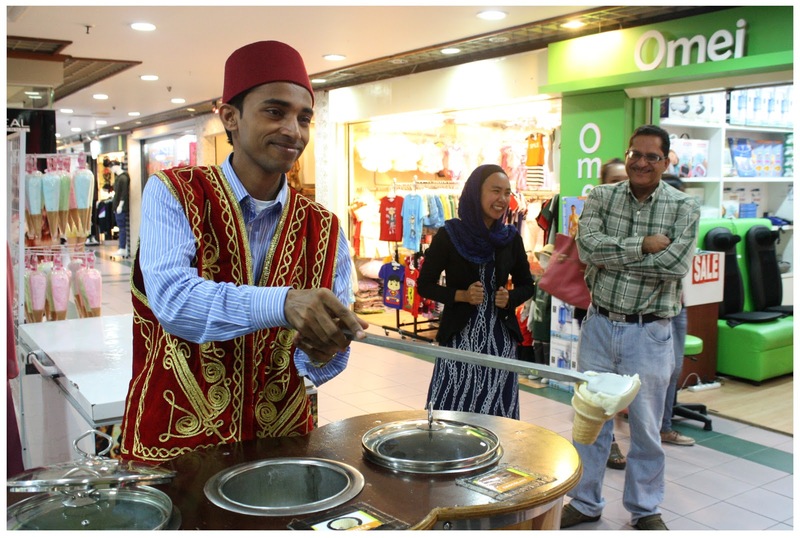 After the 'performance' from Mustafa, the highlight of the day is here: Gelato and Sorbet ice cream tasting time!!! I tried so many flavours of ice cream on that day and some really made an impression on me, like Durian, Black Sesame, Mango, Chocolate, these are flavours I recommend you to get if you were to visit Lezzetto, they are awesome! It's like eating the real fruit in frozen state, there a tiny bits of the real fruits in the gelato, the grainy texture and sweetness really taste like heaven. I never had such tasteful gelato and sorbet ice cream before to be honest. We tried most of the flavours available in the display freezer and still couldn't decide which to choose for the whole scoop because each and every flavour taste so nice. In the end I didn't want the whole scoop because I'm so full. Had ice creams for breakfast, literally. 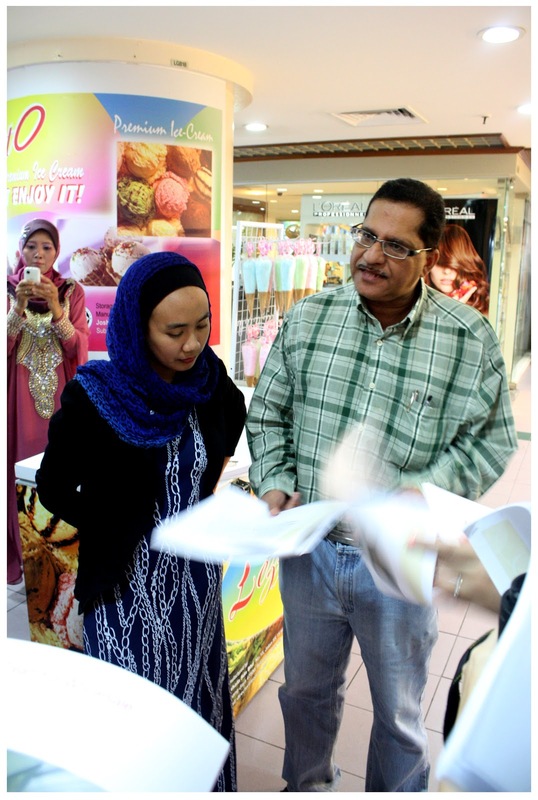 There are five outlets available in Klang Valley and you can check the outlet's location HERE. 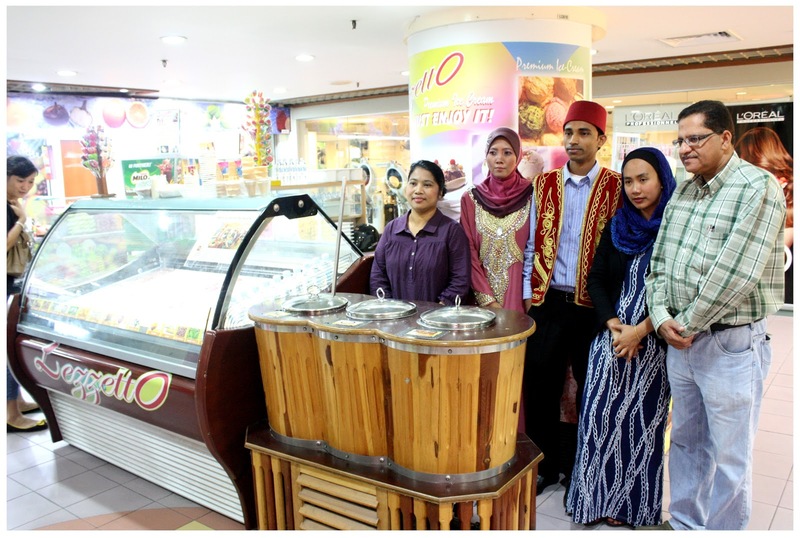 Why pay more when you can purchase premium ice creams in an affordable price right? Head to the outlets and try them out, you will know what I said is true. The FIRST TWO readers who did will win Lezzetto's premium ice cream! Hurry!!! 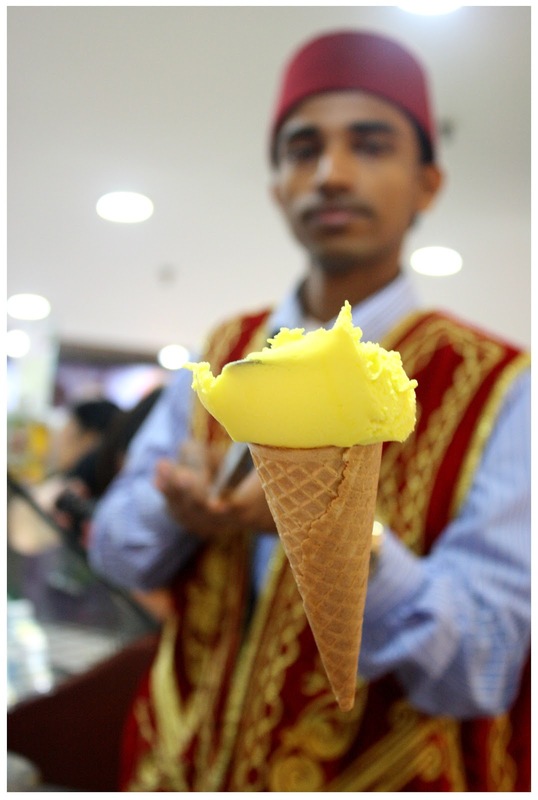 This yummylicious ice cream is just a few types and a click away!